Logile officially announced their All Mobile focus for 2018 at their annual users’ conference and retail workforce management summit, Simplify, last fall, and have been working feverishly in the subsequent months to bring this vision to life. The objective of All Mobile is to empower retailers to perform every aspect of workforce management from mobile devices directly from the salesfloor. Logile has achieved this through launching two native apps on iOS and Android, Logile Connect™ and Logile Labor Wizard™. Included in this All Mobile focus is a newly designed Dashboard, delivering real-time performance, notification and strategy. The technology also looks to the future, leveraging artificial intelligence and Logile’s industry-leading workforce management software to develop the world’s first virtual assistant for retailers dedicated to real-time workforce management. 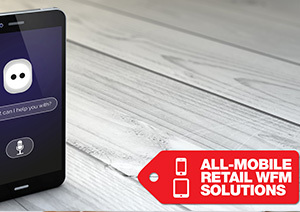 Logile Connect allows retail managers and associates alike to leverage their mobile devices to interact with their labor schedules in unprecedented fashion. Retail managers can view and make edits to labor schedules, review and make decisions on request, and a lot more. Furthermore, the impact of these changes can be determined, and that insight is presented to the manager before making the change official, empowering managers to make the best possible decisions for their associates and the business alike. From associates’ perspective, the app allows them to view their labor schedules as soon as they are posted, make requests for changes to their availability and role and interact with other associates to potentially swap shifts. Logile Labor Wizard ensures that those in retail operations aren’t left out in leveraging their mobile technology either. The app enables those managing engineered labor standards programs an entire suite of functionality designed to allow them to update and manage their labor data directly from the store floor in real time. This is accomplished by allowing them to update store-specific attributes, view labor standards, method and time validate labor standards, build new labor standards, update process mapping for items, and design and conduct nearly any study related to retail data collection (e.g., time study, queuing study, customer journey, etc.). The goal was to provide retail operators with a tool that they could use while in stores to accomplish anything they needed to enhance productivity and ensure accuracy of their labor programs. One of the most time-consuming aspects of managing these programs has always been capturing this data or taking these measurements on paper and then transferring all of that into a system. Logile Labor Wizard allows operators to do all of this right the first time, right from the sales floor. It truly is a paradigm shift for labor management. Rusty SecristDirector of Product Management, Logile Inc.
Logile’s newly designed mobile Dashboard allows retailers to view real-time KPI information, which is not limited to just data directly from the Logile system. The Dashboard also shows high-level, graphical information on forecasts, scheduling, time and attendance, task management and labor modeling, allowing users to quickly address items requiring their attention as well as drill down into lower-level information directly on the Dashboard. The Dashboard is stream-lined view of everything going on in your store as it relates to workforce management, as well as any metrics you want to utilize to manage your business. It allows retail leaders to quickly identify what needs to be addressed, providing proactive guidance to avoid potential issues based on real-time data and reforecasting. The best part of the Dashboard is that retail managers get this information right on a mobile device, so they do not have spend time away from the salesfloor reviewing data and making execution decisions. Sushil PulikkalVice president of Engineering, Logile Inc.
And in an early push to further move up the RIS Leaderboard Top 20 in 2018, Logile is introducing a workforce management virtual assistant technology called Lychee™. This two-way communication technology allows retail managers and associates to interact with workforce management in an unprecedented way. The tool allows managers to receive and request information and advice on workforce management scenarios. For example, it will be able to deliver proactive recommendations to managers in real time on execution strategy based on how reality is differing from the plan. Managers will also be able to request information on performance against plan, as well as options to address unforeseen execution events. Associates will also be able to request information, recommendations and provide feedback, again all through voice-activation. Finally, the virtual assistant will provide management guidance unprompted, even if the workforce management system is not open on the users’ devices. Lychee is the next logical evolutionary step of workforce management solutions. Providing retail leaders with the ability to do everything on mobile is the first step, allowing them to minimize time spent off the salesfloor. The next step will be to take much of the heavy-lifting off of their plate when it comes to making execution decisions, allowing them to focus on their customers and associates. Lychee is so much more than just a voice-activated technology – it truly will provide the best data-driven insight and recommendations on how to manage the business. Logile always aims to be at the forefront of workforce management technology, as evidenced by our All Mobile focus and our eye on the future. Dan BursikVice President of Product Development, Logile Inc.
Logile, Inc., a Texas based company, was incorporated in 2005 and remains privately held with software development and quality assurance teams located in the United States, the United Kingdom, the European Union, China, and India and industrial engineers and seasoned retail consulting teams located across the United States and Latin America. Logile provides Workforce Management and Execution Compliance Solutions encompassing industrial engineering consulting services and planning and execution software applications that empower more than 3 million retail employees across six continents in 18,000+ stores to optimize efficiency, improve customer service and increase profitability. For more information about our unique and customizable Roadmap of services and solutions, please contact Rick Schlenker at rick.schlenker@logile.com or 972-550-6000 x1001. Follow Logile on LinkedIn. 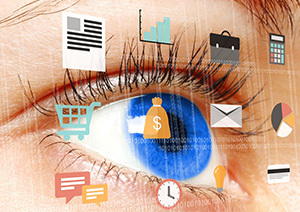 Visual Management: Visualize Success How Intelligent Are Virtual Assistants?